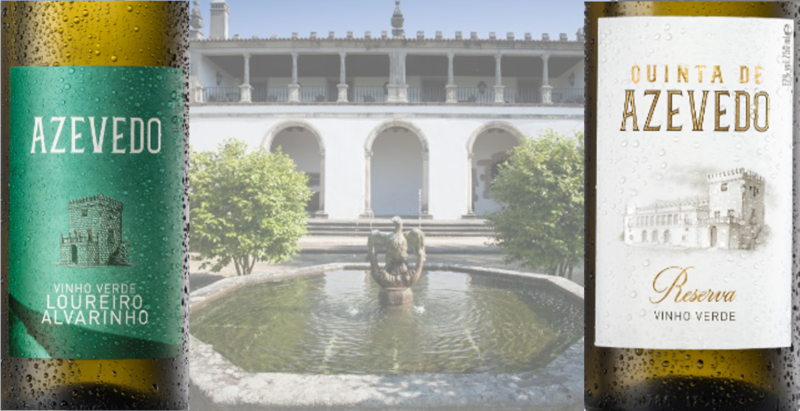 Evaton » Introducing Azevedo Vinho Verde! We are very excited to build out our Vinho Verde offering, with the addition of Azevedo! These premium Alvarinho wines speak to the unique potential of the cool and rainy Vinho Verde DOC, as well as the imposing history of the Quinta de Azevedo estate. The fields of Azevedo date back to the 11th century when they were bestowed by royal decree upon the Azevedo family. In the vineyards and winery of this magnificent estate, acquired by Sogrape in 1982, a mysterious tower stands untouched since the 15th century. The Quinta de Azevedo legacy is infused into each bottle of these premium Vinho Verdes. Azevedo Loureiro Alvarinho shows an expansive aroma, with notes of ripe mango, nectarine and hints of well-ripened citrus fruit. The profile makes it an ideal accompaniment for fish dishes, fresh salads and seafood. It is also a wonderful aperitif. Quinta de Azevedo Reserva bears the seal of guarantee of a single estate wine. This wine has prominent notes of well-ripened fruit, particularly of stone fruit, such as peaches and nectarines and a long, balanced finish. With its fruity profile and integrated acidity, it is full-bodied and creamy, very gastronomic and pairs wonderfully with fish dishes, seafood and rich salads. Vinho Verde is the largest and one of the oldest Portuguese wine regions, producing wine for more than 2,000 years. Located in north-western Portugal, it is bordered to the north by the Minho, to the west by the Atlantic Ocean and to the south by the mountainous area separating it from the Douro region. In 1984, Vinho Verde became a protected designation of origin (DOC/Denominação de Origem Controlada). Today, it is a region that is gaining popularity as an exciting alternative to other light and refreshing wines like Pinot Grigio and Prosecco. “Vinho Verde” translates directly to “green wine,” but it’s not because of the color – it means “green” as in “young,” as these wines are ready for immediate consumption. Finally, Quinta de Azevedo winemaker Antonio Braga has recently been featured in a comprehensive editorial on Vinho Verde wines that we found extremely interesting! Especially as it draws attention to these more premium Vinho Verdes.